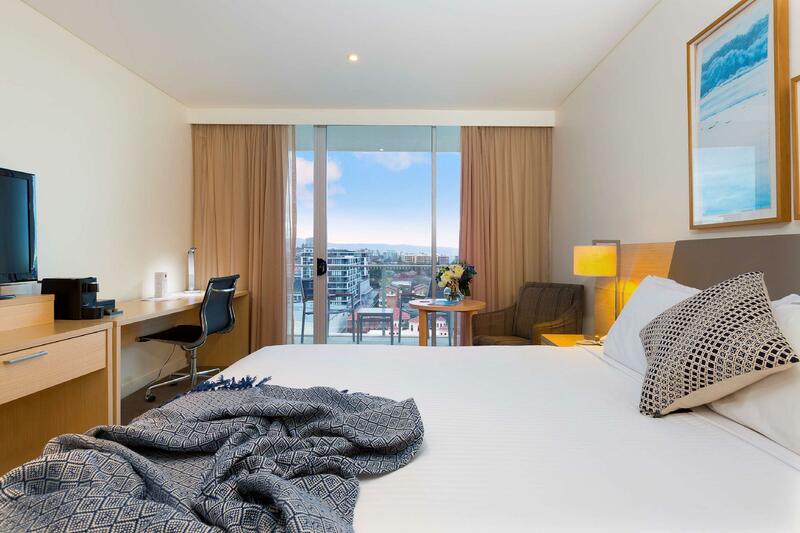 إن فندق Sage Hotel Wollongong بموقعه الممتاز في Wollongong City Center هو نقطة انطلاق جيدة لنزهاتك في ولونججونج. يجذب هذا الفندق ذو 4.5 نجوم، والذي يبعد 1 km فقط عن وسط المدينة و 90 km عن المطار، الكثير من الزوار سنوياً. بالنسبة لمن يريد الخروج، هذه بعض المعالم السياحية المتوفرة للزوار ‪Saint Dimitrija Solunski Macedonian Orthodox Church‬, وولونجنج, ‪WIN Sports and Entertainment Centres‬. 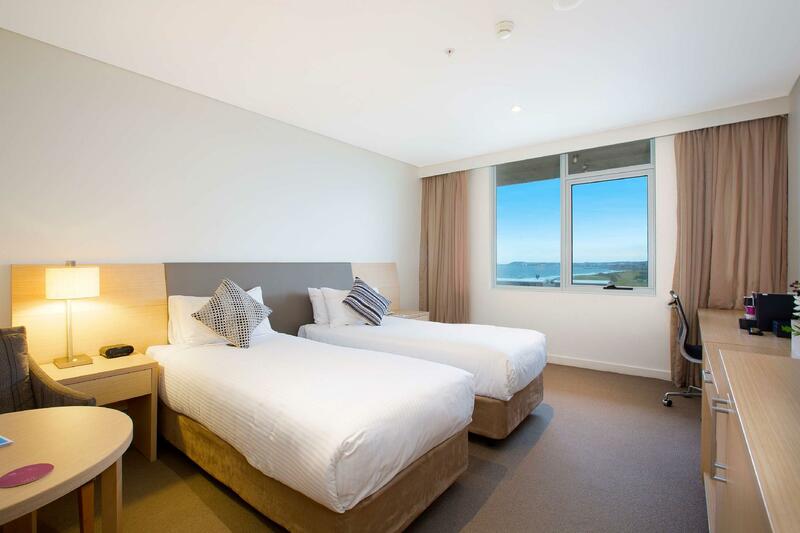 كما يقدم Sage Hotel Wollongong الكثير من الخدمات لإغناء رحلتك في ولونججونج. إن خدمة الغرف على مدار الساعة, مكتب الاستقبال على مدار الساعة, مرافق مخصصة لذوي الاحتياجات الخاصة, تسجيل وصول/خروج سريع, تخزين الأمتعة هي جزء فقط من الخدمات التي تميز Sage Hotel Wollongong عن باقي الفنادق في المدينة. استمتع بوسائل الراحة الراقية في الغرف أثناء إقامتك هنا. بعض الغرف تتضمن تلفزيون بشاشة مسطحة, حوض الاسترخاء, غرف لغير المدخنين, مكيف هواء, مكتب لمساعدتك على استعادة طاقتك بعد يوم طويل. يقدم الفندق مجموعة واسعة من وسائل الراحة المتنوعة، كمثل: مركز للياقة البدنية, حمام سباحة خارجي. 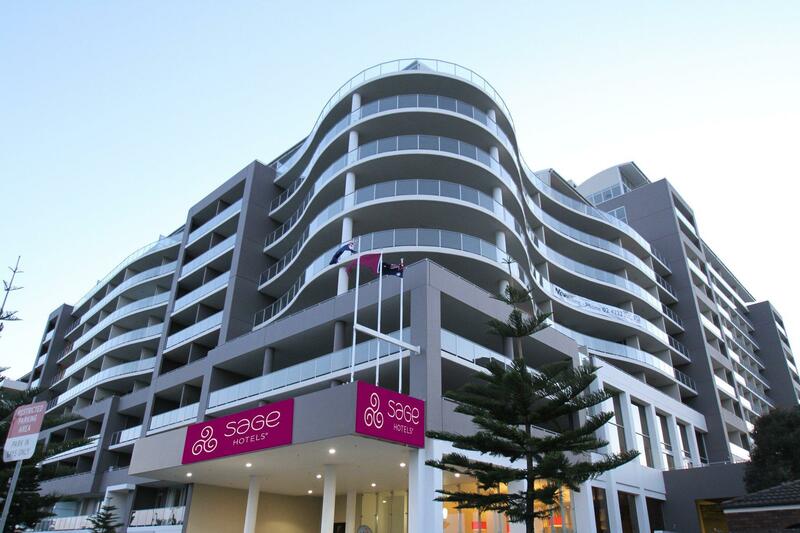 إن Sage Hotel Wollongong هو مكان مثالي للمسافرين الذين يتطلعون إلى الراحة والاستجمام في ولونججونج. Stayed here one night for a concert at McCabe Park, everything was within 10 minutes walking distance of Sage. Booked a balcony room which had nice views of the beach. Rooms are basic but clean & tidy. Breakfast Buffett was yum & the staff were more than happy to help with dietary requests. Thanks! 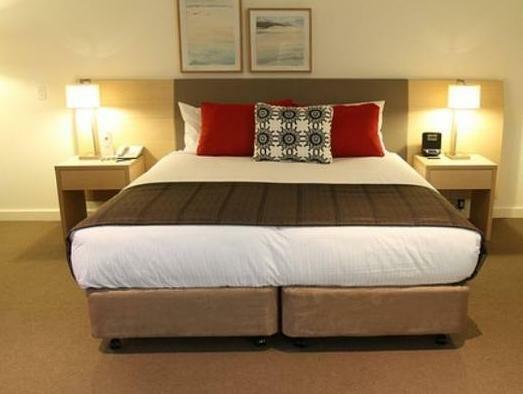 Great hotel, close walk to shops, beach, stadium. Had breakfast included in our package and was great. Would stay again. Thank you so much Sage Hotel for a nice stay. We had the best room with the best view. Staff are friendly and thank you for your surprise red wine, perfect for us, celebrated my husband's birthday with style🥂😘 The lift become busy at times but overall was fine. Room was spacious with a balcony with sea view. Front reception service was efficient and check in was quick. I think check out is 10 am which I think is too early. There is on site parking which cost A$ 15 per day, quite steep. the hotel promotes itself to a high standard.. however I was very disappointed.. I told the staff I was not happy and they gave me the excuse the hotel is being refurbished... not my fault.. if it is sub standard now their prices should reflect this. They changed my room to another which was equally as stained.. Felt like a dirty motel which I told them. Another outstanding stay at Sage. Exceptional customer service provided by staff again especially Lauren & Kimberly at reception. These two young ladies are certainly a huge asset to the Hotel. Also shout out to Linda in Housekeeping. Lovely lady who takes pride in her job! Bedding very comfortable and rooms clean. Some minor maintenance issues which have been raised with the hotel directly but certainly does not change my opinion of the Hotel. Definitely value for money. Would I return and recommend and this is a definite Yes. stayed for 1 night. facilities are new and adequate. 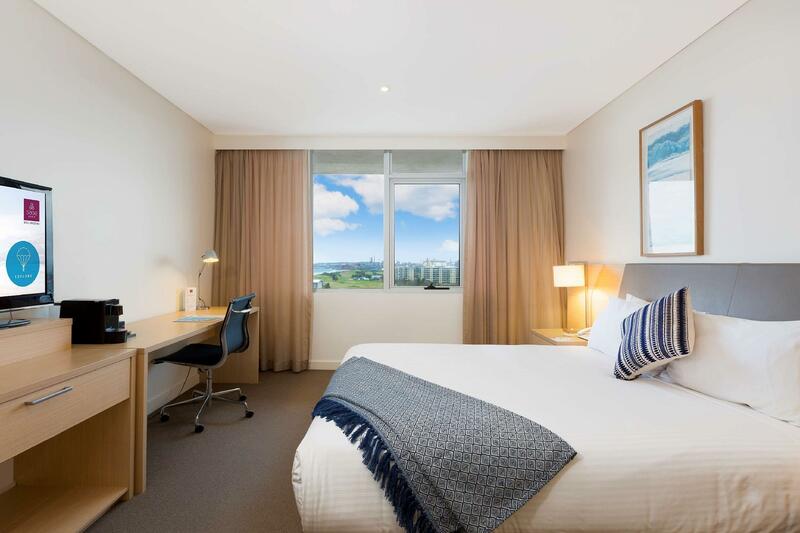 20 mins walk from Wollongong station. not many restaurants around the area so bit of a downside but not hotel's fault. close to beach which was convenient. Was only there overnight but I was greeted by some very lovely staff who made me feel welcome. I noticed the attention they were giving to other customers and showing them how to get to their destination. The room was clean with a good view over the pool and a further out on to the coastline. The bar downstairs was relaxed but had a lot of people and overall my stay was pleasant. The first room we were given had black marks along the walls and dirty carpet. The manager moved us to another room. To be honest the next room wasn't much cleaner. He was kind enough to give us free parking. The location is great but the rooms need new carpet and a more thorough clean. Our room for new years eve we got given level 4 there was no view and in the back corner. We paid for an executive suite and it was not worth the money we paid. We were also told it was $15 to park under neath in secure parking which we said yes to as my partner has a work ute with lots of tools. We left and came back and there was no parking available we called reception only to be told it is subject to availability....they could have told us thos when we purchased the parking otherwise we wouldn't have moved our car. I can’t commend the staff enough, the hotel is lovely but the staff are exceptional, they made the stay so wonderful and were so kind to my mum who fell ill during our stay. Thank you to everyone there, the front desk team, the restaurant staff and the housekeeping you are all so worthy of the highest praise. The room was large and we looked south over the golf course which was a pleasant view. Only one bedside table lamp which I thought was not a wise cost cutting exercise as the lighting overall was poor with only 2 down lights at the foot of the bed. No shower cap provided which most hotels of this standard supply these days. Had an issue with lift noise the first night so we were moved to another room and given a complimentary breakfast. 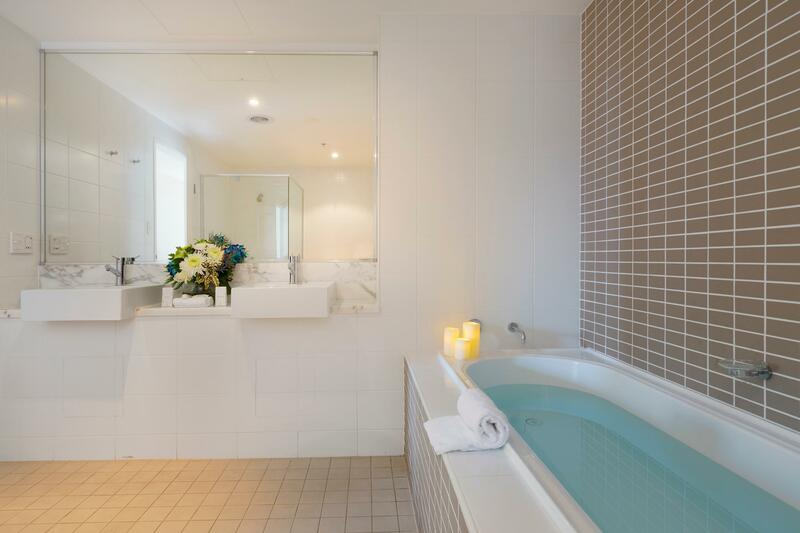 Had an executive balcony room which was large and the bathroom was huge. The bath was extra long and deep. Comfortable beds. 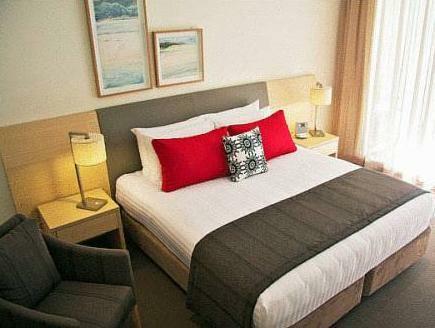 You can easily walk to restaurants, the lighthouses and Nth Wollongong. Give the free bus a swerve though. Not worth the effort. Big rooms, good views and location. Nicely equipped. Boring restaurant and a bit expensive, same with breakfast and parking fees. Free overnight parking across the road. Nice staff, very polite and helpful. The hotel is right next to Win Stadium. So I'm guessing it could be a little hectic when there is a footy game in there. We were there 2 days before a footy game scheduled and it was very quiet. It's pretty close to the beach and the city centre. A good alternative if you are travelling around the South Coast. 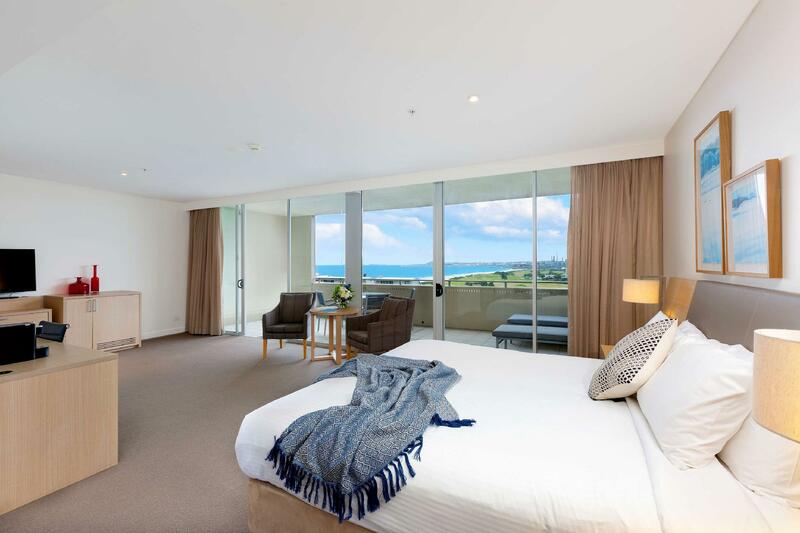 Comfortable room, sea views from balcony, convenient to city centre, beach and golf course.